This is just one of the many harrowing adventures Ynes Mexia (b. 1870 — d. 1938) undertook in her career as a botanical collector which started when she was already 55. Following a divorce and some difficult times in Mexico City, she relocated to San Francisco, where Ynes joined the Sierra Club on hikes. These, in turn, inspired her to take classes at UC-Berkeley to study botany. She had been in South America on a year-long expedition, collecting almost 5,000 botanical specimens. Now in 1934, Ynes Mexia hoped to find, among other things, a Wax Palm. The elusive tree was said to grow somewhere deep in the high mountains of Ecuador. Reaching it would require a several-day journey traversing many mountains and unforgiving wilderness. On their first night, she and her small team of assistants and guides were pinned down by frigid, ceaseless rain above the timberline of a tall South American mountain. Cold and wet, the crew was ready to turn back. Not Ynes. As some wallowed in defeat, she formulated a plan. She immediately ordered the younger crewmembers to assist, and they did. 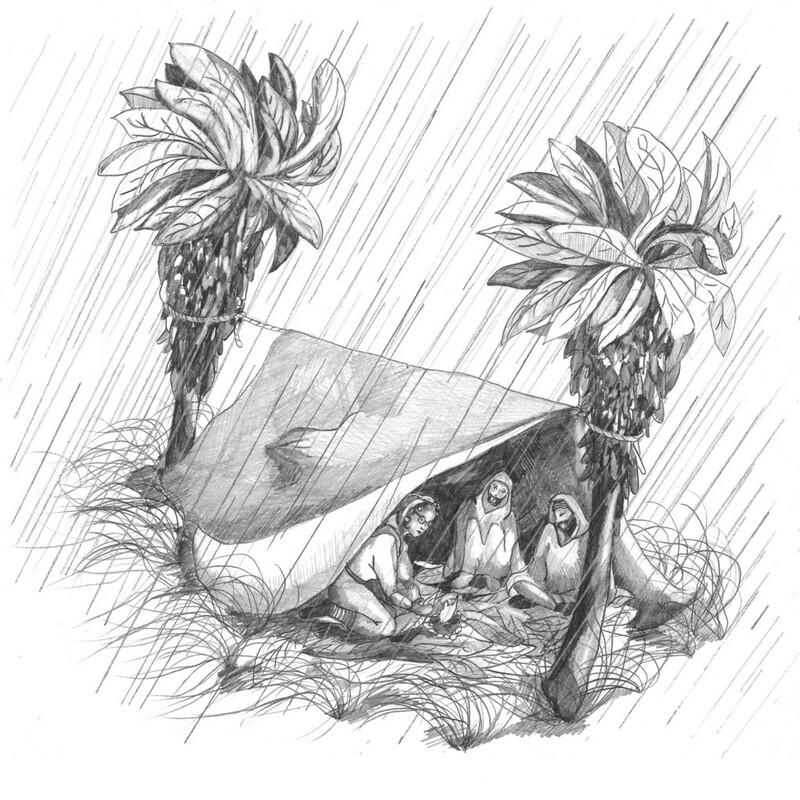 Before long, she had built a fragile but weatherproof shelter from only pack rope, ponchos, grasses and leaves. She rewarded everyone with a nourishing, hot meal that she made from the water in her canteen, a few potatoes, and pea soup powder. This was a woman who had escaped death (but not severe injuries) when she had fallen from a cliff on a previous expedition. That had only made her more determined. So of course she wouldn’t let the weather keep her from completing her latest mission. The team awoke the next morning, and one of the crew dared to complain of a small drip, but Ynes had no patience for it, writing later, “I did not care; why didn’t he get up and fix it?” Onward they explored through more harsh weather and severe terrain. Her crew continually begged for her to slow down, but she refused their requests. And in the end, Ynes found the palm she sought.